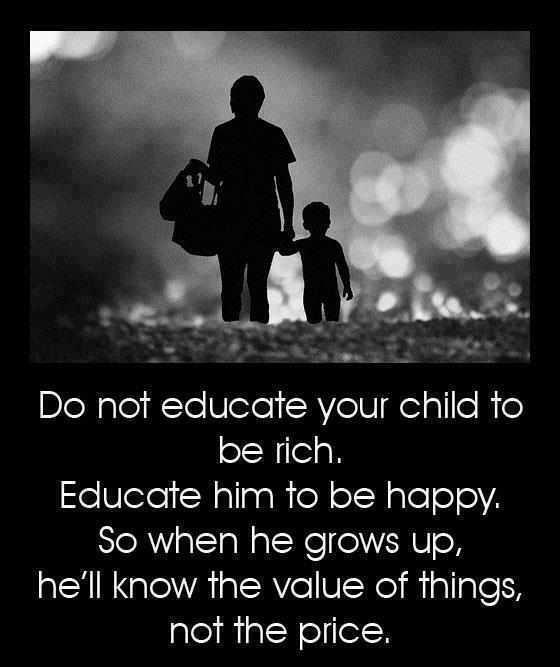 “Do not educate your child to be rich, educate him to be happy. So when he grows up, he’ll know the value of things, not the price”. ~ Unkonwn | Gurly's collection of quotes, notes & video's made by great people who have been sharing their enlightenment through their words and actions. This entry was posted in Life, Quotes, Self development and tagged find happiness, parenting, Quotes, Raising children, Values by Gurly Hafsmoe. Bookmark the permalink.